New York Times bestselling author Marie Lu called Taken, Erin Bowman's debut novel, "an action-packed thrill ride from beginning to end." 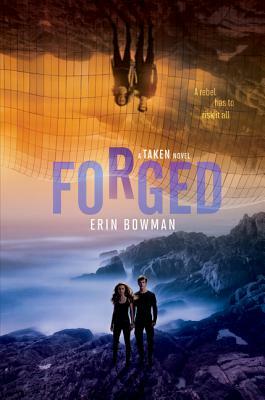 The action and suspense rise to explosive new heights in Forged, the epic conclusion to the Taken trilogy—and the perfect next read for fans of The Maze Runner and Gone. Gray Weathersby knows the truth about the Laicos Project, the Order, and the Forgeries—and he knows they must be stopped. But each generation of Forgeries is deadlier than the one before, and now even the most familiar faces—including the girl Gray loves—can't be trusted. To make a stand against the Order, Gray will have to risk it all. Erin Bowman used to tell stories visually as a web designer. Now a full-time writer, she relies solely on words. She lives in New Hampshire with her family, and when not writing she can often be found hiking, commenting on good typography, and obsessing over all things Harry Potter. Erin is the author of Contagion and its sequel, Immunity, the Taken trilogy, Vengeance Road, and Retribution Rails. You can visit her online at www.embowman.com.